Happy New Year! I hope you're all having a great start to 2016. I was delighted when Issue Two of Together Journal arrived in my mailbox earlier than expected. 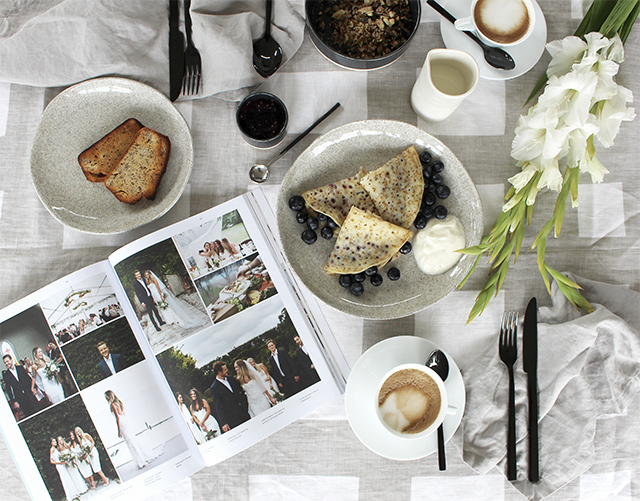 The beautiful magazine which launched late last year offers a fresh new concept in wedding inspiration. Founded by talented wedding photographer Greta Kenyon whose work I have admired for a long time, it was born from a simple idea that there was space for something new and unique, with both style and substance. Greta says "Together Journal inspires and showcases the kinds of weddings that we and our friends and their friends want to have." Culminating the work of the most talented in the trade and the brightest creatives including photographers, writers, designers, stylists and artists, the quarterly publication will appeal not only to those planning a wedding, but anyone who appreciates great design. Blown away by the stunning layout and beautifully curated content showcased in the first issue, I was delighted when Greta approached me about being interviewed for Issue Two. 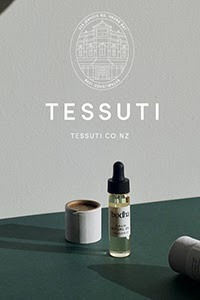 I chatted to editor Josie Steenhart about interior trends and how I would incorporate these into wedding styling, along with a little shoot at home by Delena Nathuran. Another gorgeous issue, I am truly honoured to be a part of it! 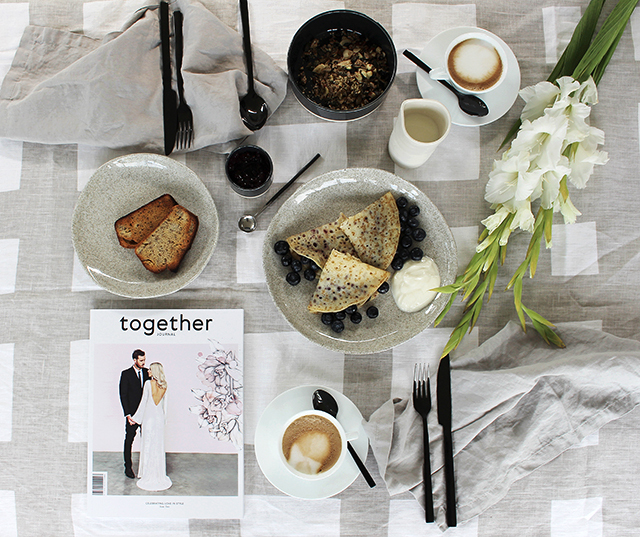 I love how Together Journal features real life couples, like Juliet and Justin Souter who are gracing the cover. Juliet is the Designer & Director of Marle label and wears her own custom wedding gown created by Zambesi. Justin also wears Zambesi. 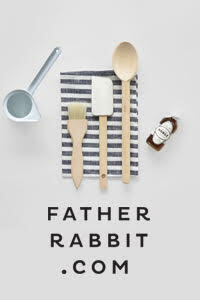 Cover shot by Coralee Stone, styled by Greta Kenyon, with cover illustration by Chloe Ruby Art. 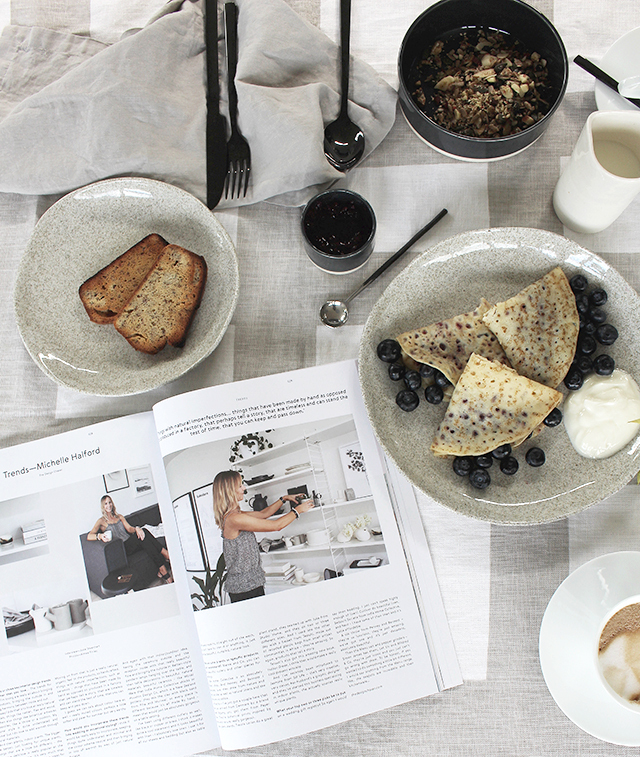 Still very much in holiday mode, I styled the magazine alongside a breakfast for two this morning. My husband was most appreciative! 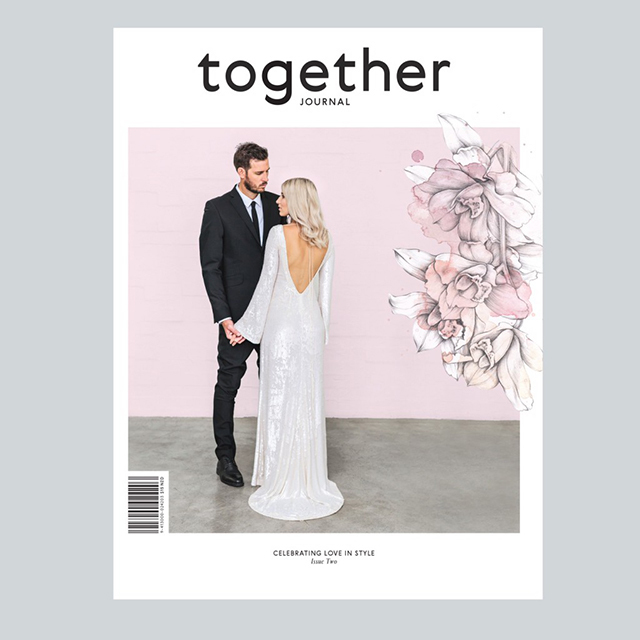 Issue Two of Together Journal is available from selected stockists and can also be purchased online.